If you have roof damages from a recent storm, you'll need a good Amityville roofing contractor to help you through the insurance restoration process. Magnum Contracting group is ready to help you with restorations, repairs, or remodeling. Since you've found us, you'll have the expertise you are looking for that results in quality workmanship. There's no time like the present to get started on the repairs or changes you need for your home. Whether you just need a few Amityville roof repairs or you plan to remodel your entire home, we can help you with the project. If you give us a call, we'll be happy to discuss your plans and provide you with an estimate. You'll find that our rates are competitive and contractors honest. 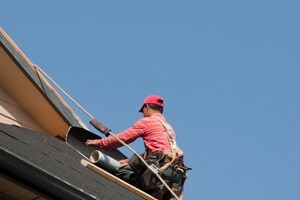 Roof damage can cause significant upheaval in daily life, especially when it happens suddenly. If you need roof repairs or insurance restoration in Amityville, it's good to know you have all the help you need with Magnum Contracting Group. We'll ensure you receive top quality service and effective restoration services. Our professional insurance inspection and experts assistance with insurance claims will be very beneficial as you go through the process of restoration. Our extensive and thorough work completely restores the home after fire, water, hail or high wind damage. The kitchen and bathroom of your home are very personal to you and the family. Remodeling should be focused on meeting your specific, unique needs. If changes need to be made to your Amityville kitchen or bathroom, it's best to call a general contractor who oversees the entire project for you. Magnum Contracting Group is the name to remember for Amityville remodeling. If you are looking for a professional Amityville roofing contractor or remodeling company, give Magnum Contracting Group a call today at 516-277-2300 or complete our online request form.